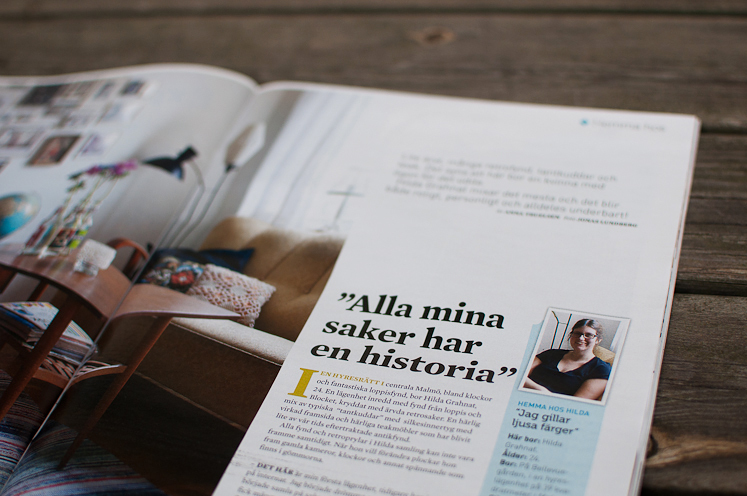 Today there is an article about my apartment in Expressen's (one of Sweden's largest daily newspapers) Vintage & Antique insert! The photos were shot in March and I love how it came out. 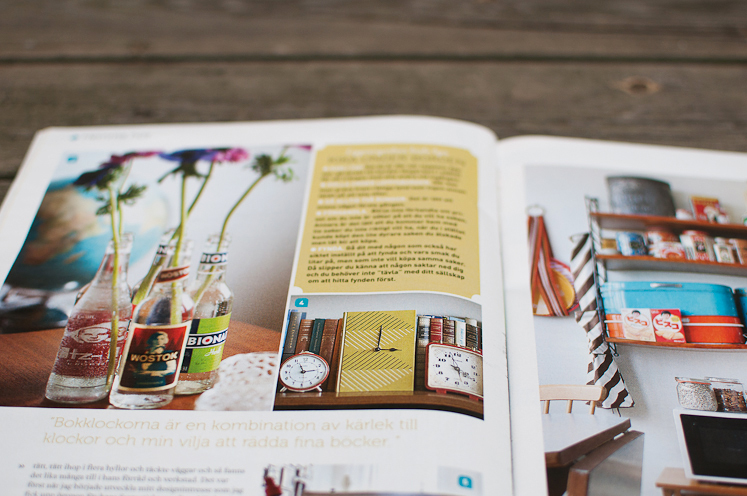 The journalist and photographer both did a great job and it's so exciting to see my home in a magazine! åh, du bor så fint! åh jag måste fråga; vart har du köpt ditt skrivbord? jag har letat efter ett liknande ett tag, och hade fått för mig att det skulle finnas på ikea, men icke. Congratulations, Hilda! You totally deserve this honor! ja Tack Hilda för att vi fick komma och träffa dig och göra en artikel om ditt charmiga hem! Congratulations! That's great and your home is so nice :-). everythings here is beautiful ... I like the feeling when I see you pictures ... it's a kind of welcome. Jag har köpt den, såklart! Fint! 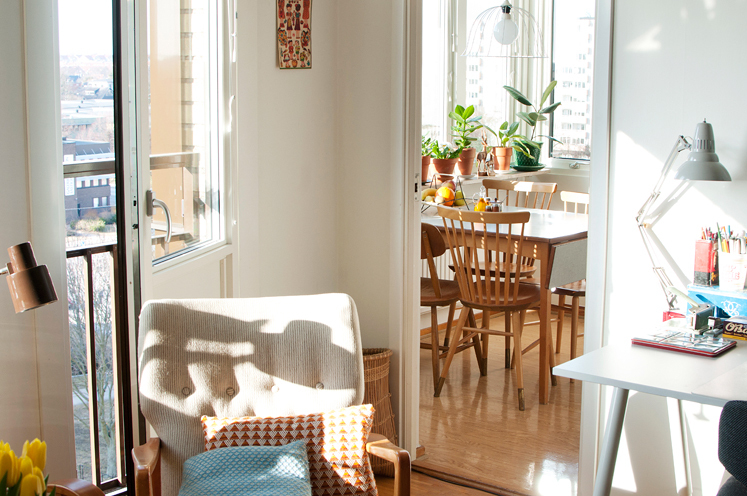 Your apartment is perfect! I wish I could decorate mine the exact same way. Bravo! Congratulations Hilda! 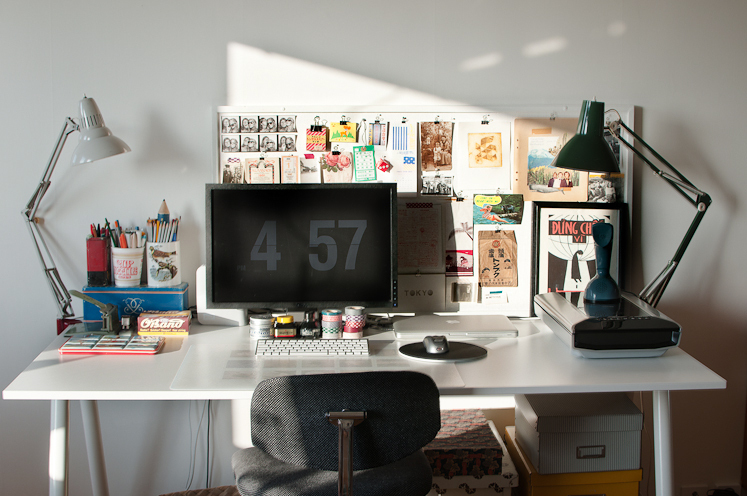 I wish I had the same kind of natural light streaming into my Seattle flat. You have a very lovely home! 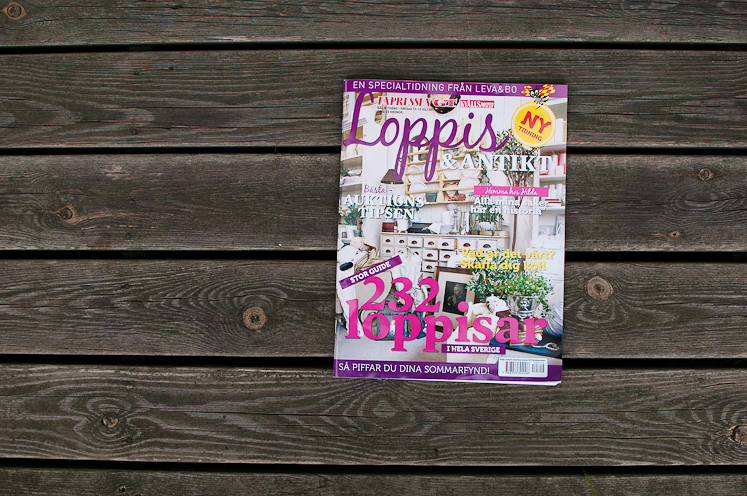 I can imagine how strange it must be to see your own home in a magazine. congratulations! I love your apartment and they showed it beautifully! Jag undrar också var du fått tag på det fina skrivbordet! 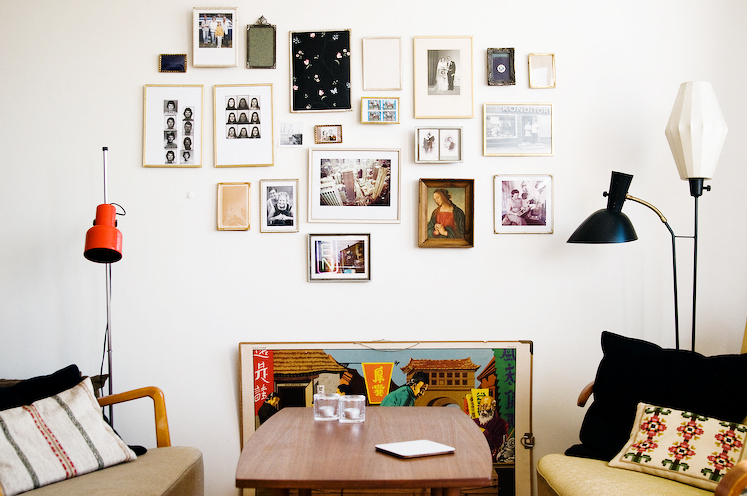 I fell in love with your blog and apartment! Follower! ;)Greetings from Croatia!